Dr Anne Pratt has qualifications in mental health nursing and adult education, as well as a PhD and a Masters in Community and Environmental Psychology. 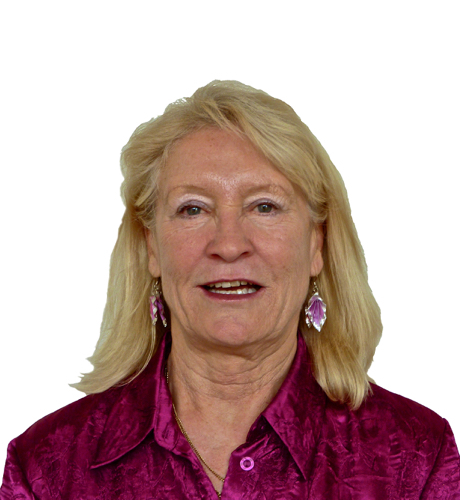 She also has experience in adult education, lecturing at several universities, and in the TAFE sector. Her career has mainly been focused towards developing and improving services for people with acute and chronic health problems, including disabilities. In most of her health-related roles, she was extensively involved in the planning, development, audit, and evaluation of services which were devised for the identification and management of a range of mental health problems. These included suicide prevention services; rehabilitation services, including a service called Workright that assists people with mental health problems to access the workplace; housing and case management support services for those with mental health problems; acute care services; and the first mobile day hospital for those experiencing early dementia and related disorders (Koolyara). Another major project was the development of screening and outreach services for women susceptible to Postnatal Depression (PND) in the North Metropolitan Health Service (NMHS) catchment area of Perth (WA). This particular project, with a focus on maternal health and well-being, included research, policy development and implementation components as well as training statewide staff and volunteers on the signs, symptoms, prevention, and management of PND. A critical review and audit of current service provision for PND in the government and non-government sectors was completed, followed by the preparation of several reports for The Health Services Management Team, outlining a policy and framework, including goals and models for future service provision in the region. The successful completion of this project resulted in the commencement and implementation of a PND screening program antenatally for all women attending the Antenatal Clinics and Community Health Services in the NMHS postnatally. Across the region, structured new mothers groups were implemented to educate and support new mothers in the early weeks of motherhood. The programs also included: antenatal and postnatal screening of new mothers, early intervention and postnatal depression groups, and individual counselling. The mental health team also established “New Beginnings” which still continues to provide a range of services for women at risk of, or experiencing, postnatal depression and related disorders. During her tenure as Director of Community Services in Palmerston (NT), Dr Pratt was responsible for a longitudinal project to assist families residing in The Palmerston Indigenous Village (13 Mile Camp). This project involved auditing current service provision to the group, identifying gaps, and coordinating and enhancing new and existing services, including children’s’ programs, breakfast programs, and maternal support. Critical reviews were regularly undertaken to minimise duplication, confirm the effectiveness of services provided, and develop an evidence base for future funding. Whilst in this position she also conducted research on the views and expectations of young people in the region, and assisted in a Territory-wide consultation on the long-term intentions of Seniors residing in the NT, and co-authored the final report. In a consultation in Abu Dhabi, Dr Pratt contributed to a policy on infant and child screening and vaccination, as well as preparing a comprehensive critical review and audit of the mental health services and a policy framework for new community based mental health services in the Emirate. Her work with AHA over the past five years has encompassed a wide range of projects, such as AHA’s evaluation of the Secure Aboriginal Medical Services Information System (SAMSIS) conducted on behalf of the Office of Aboriginal and Torres Strait Islander Health (OATSIH).